Every composition in the Aqua Allegoria collection by Guerlain has a bright, fresh facet in its own unmistakable way. 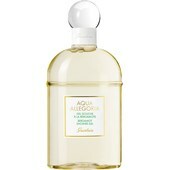 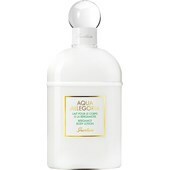 The secret of this Aqua Allegoria is a bold blend of Tiaré flower and fragile mimosa. 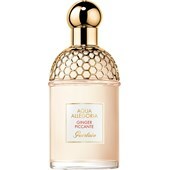 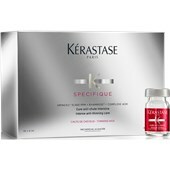 It instantly releases a firework of zesty, radiant notes. 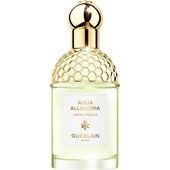 From the beginning, it was designed as a homage to nature... as a thank you for all the treasures that nature has given Guerlain. For nature and its inexhaustible source of inspiration that the perfume creator worships and which stimulates his creativity again and again, Guerlain has launched this now famous Eaux de Toilette collection. Every new creation in the Aqua Allegoria range is eagerly awaited because the element of surprise is certain: once a year, Guerlain blends the valuable basic ingredients to create a new, bold composition, leaving nothing to chance.